Directed by Paul Thomas Anderson, Inherent Vice is a strange mystery-comedy based on the novel of the same name by Thomas Pynchon. Set in 1970 Los Angeles, the film follows a hippie private detective named Larry “Doc” Sportello (Joaquin Phoenix) on a series of misadventures. Sportello’s latest job involves helping an ex-girlfriend, Shasta Fay Hepworth (Katherine Waterston), locate her lover, Mickey Wolfmann (Eric Roberts), who has mysteriously disappeared. Along the way, he takes on additional cases, including a missing musician and father named Coy Harlingen (Owen Wilson), that exposes a seedy world of drugs, corruption and shady real estate ventures. During his investigation Sportello frequently encounters people who seemingly know more about his cases than he does. Among these individuals is an LAPD detective Christian “Bigfoot” Bjornsen (Josh Brolin), a man who doesn’t like hippies or Sportello, but knows that Sportello can aid him in acquiring information for certain police matters. While the premise might appear simple, the story, at times, is hard to follow as Anderson seems intent on making the narrative as hazy as Sportello’s drug rattled mind. This effectively plays into the confusion of a world where the drug culture and the hippie culture are going through a serious change. The tension between hippies and authorities are winding down, but the mistrust is still there. In the middle of all of this is Sportello, lost in his investigation with no clue as to where he’s going. Of course, this is all part of the charm that is a Paul Thomas Anderson film. Anderson’s direction is quite stylish as he brings in some intricate tracking shots and entrancing compositions to the piece. He also manages to incorporate moments of off-beat humor, such as Bigfoot frequently eating chocolate covered bananas, into the film. Through the work of cinematographer Robert Elswit and the set design of David Crank, Inherent Vice definitely feels like a world that is changing. 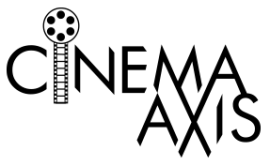 Another key factor in the film is the music composed by Radiohead’s Jonny Greenwood. Collaborating with Anderson for the third time, Greenwood mixes elements of folk music into his largely orchestral score. The soundtrack features artists such as the Association, Chuck Jackson, Neil Young, the Marketts, Minnie Ripperton, and Les Baxter as well as music from the Kraut-rock band Can. Inherent Vice also succeeds in part due to many standout performances from its extravagant ensemble cast. The supporting players include Jena Malone as Coy’s former-junkie wife, Michael K. Williams as a man who turns to Sportello for help, Martin Short as a cocaine-addicted dentist, Maya Rudolph as a pregnant nurse who serves as Sportello’s secretary, Joanna Newsom as the narrator, Reese Witherspoon as a deputy D.A. who is also Sportello’s lover, and Benicio del Toro as an oddball attorney. However, it is the work by Katherine Waterston and Josh Brolin who truly give Inherent Vice its added punch. Waterston is an evocative presence that adds to the sense of longing and melancholia that looms over Sportello. Whereas Brolin’s performance is so quirky and sensational that it expertly conveys Bigfoot’s inability to cope with the shifting world around him. 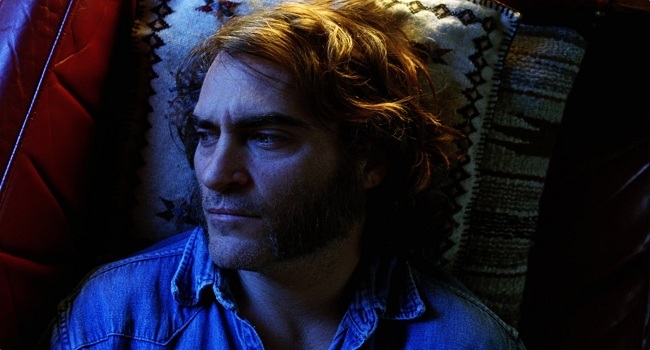 Then there’s Joaquin Phoenix who delivers one of best, and funniest, performances of his career. Bringing his “A” game, Phoenix is clearly having a ball portraying a man who is both a buffoon and surprisingly complex at the same time. Sportello demonstrates the traits necessary to be good at his job, but years of drug use has made him a bit of a screw-up. Easily his most inaccessible work to date, Anderson’s film will no doubt baffle casual audiences. Regardless, in the end, Inherent Vice is a very exhilarating and rapturous film from Paul Thomas Anderson. Good review. Didn’t always make perfect sense, but man, I just had too much fun with it to really care too much. It is a fun film though I am eager to see it again as I think it needs a re-watch. While I don’t consider myself part of the casual audience that was baffled.. ha! I will note 1st that I don’t think anyone was looking forward to this movie more than me. Truly.. I was so excited to go to a screening I drove 25mi to go to one. Then 1 hr and 40 min in.. I walked out. And trust me when I tell you I’ve done that maybe 3-4 times in my entire life. Had it been a directors/prod/cast screening I would never have done it, as it was..I didn’t care what happened .. and I was sad about that being as big of a fan as I am of the cast and director. Many people sadly walked out even before me. ah well..
That’s not good. You still had an hour to go and that’s where things do get juicier. Yet, I can understand why it was frustrating to watch as I saw a few walkouts as well. It’s a very off-the-wall film but I think that is what Anderson has intended and maybe it’s among the reasons why Thomas Pynchon isn’t someone whose books are easy to adapt into film. I tried to write about this but couldn’t quite string the words together. A second viewing is essential, I think. Oh, I totally think a second viewing is essential because it seems like there’s a lot more going on and maybe there’s more clues that has been overlooked.